Northwest National Real Estate: New Listing! Building Lot For Sale! New Listing! Building Lot For Sale! 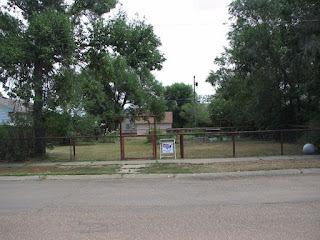 Affordable building lot for sale located in Glasgow, Montana. This lot is 60' X 130' and completely fenced and ready for your new home. The lot is also, large enough to have a good sized garage or shop. Mature trees are an added bonus to this property. Contact Helland Agency for more information at (406) 228-2114. Priced at $25,000.